Northern Vietnam is home to rippling mountains, cascading rice terraces, a sublime seascape it’s capital city, Hanoi. This was my part of the trip to plan and I must say the atmosphere would make it a winner alone. 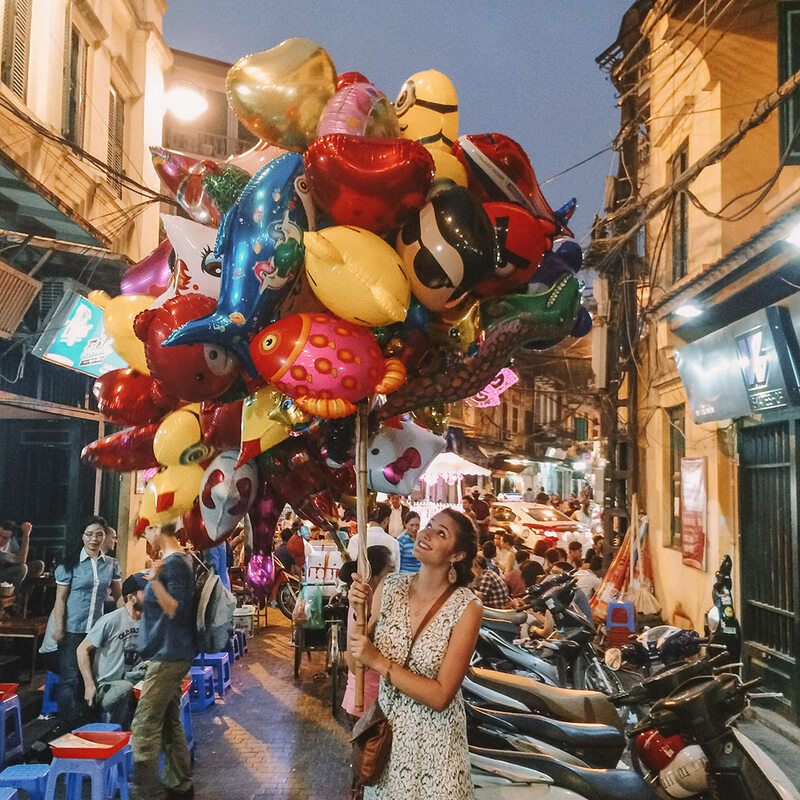 Hanoi’s streets are packed with young crowds all enjoying the local cafes and bars on tiny plastic stools, drinking tea and cracking sunflower seeds. The fashionista in me loved watching the well-dressed women driving by on their motorbikes/scooters. I could easily sit there for hours… but time was a ticking! I am always one for adventure with some culture thrown in so I took my fellow travellers around the city with a planned cultural itinerary. But I also believe in going wherever the adventure happens to take you, so I also left plenty of unplanned time for later. This includes time to let our hair down… yes the boys too! And boy did we have a wild and memorable night out! 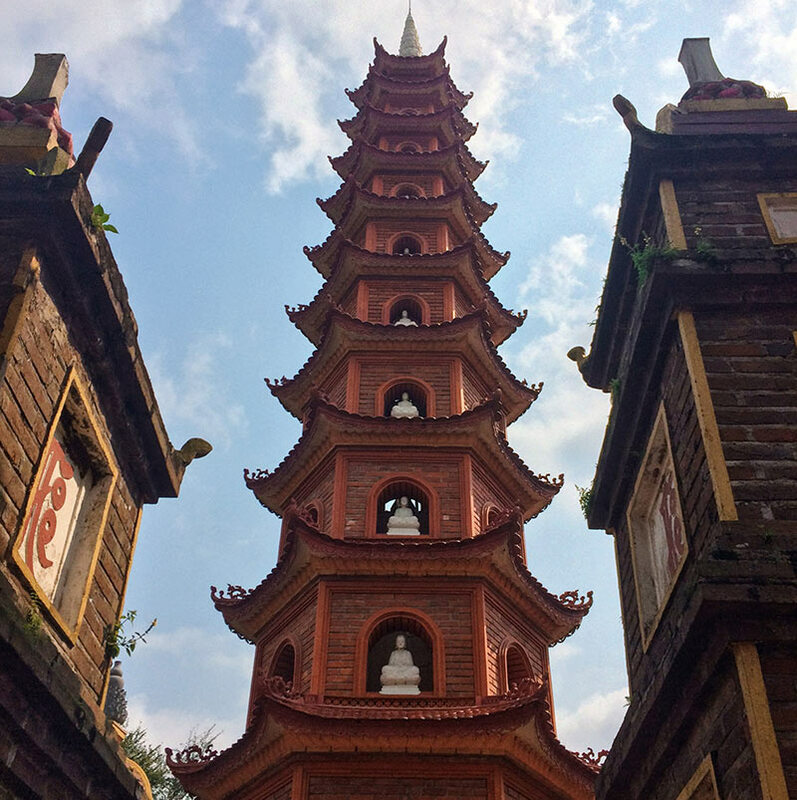 One of the most beautiful pagodas is Tran Quoc Pagoda which is located beside the Red River and is dated from 1639. There you can, for a small amount purchase baby turtles, releasing them into the ponds that are around the grounds, while making a wish. And yes I realise they go and catch them later and sell them again to the next unsuspecting tourist. But how cute are they? How can you say no? Visited Hoa Lo Prison, also known as the infamous Hanoi Hilton. The prison was used by the French people who tortured and guillotined Vietnamese revolutionaries. 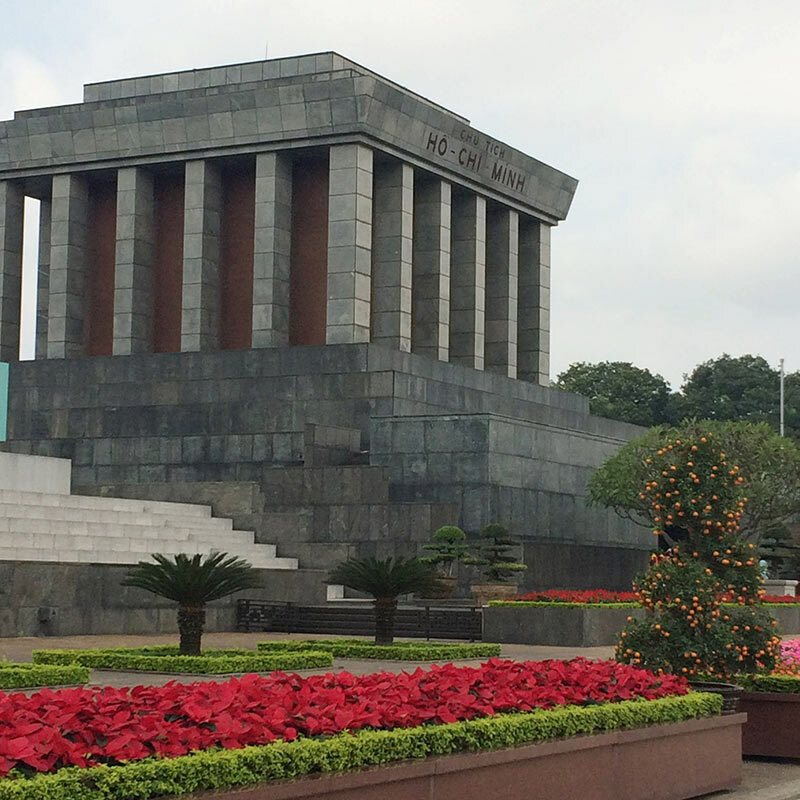 Many years later, it was used by the Vietnamese to imprison captured American pilots. It was interesting seeing Vietnam’s viewpoint on how much better they treat their prisoners… I’ll let you make up your own mind on that one. 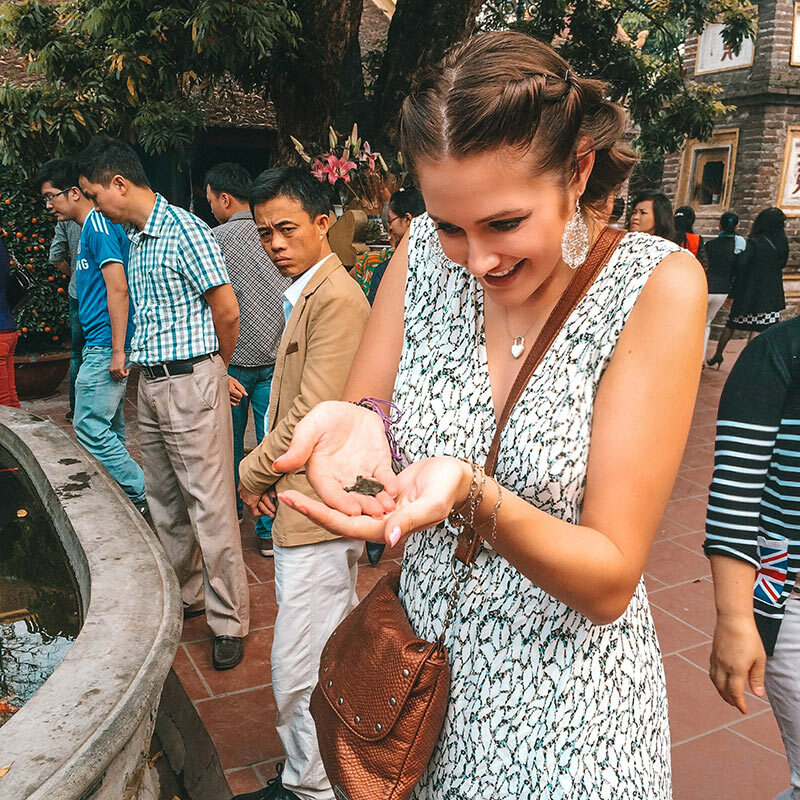 Also make sure you take a stroll around Old Quarter, visit Hoam Kiem Lake and see a traditional water puppet show. We couldn’t understand most of it but for $5 why not! I did previously read it’s best not to sit in the front row if you do not want to get wet… maybe keep that in mind. 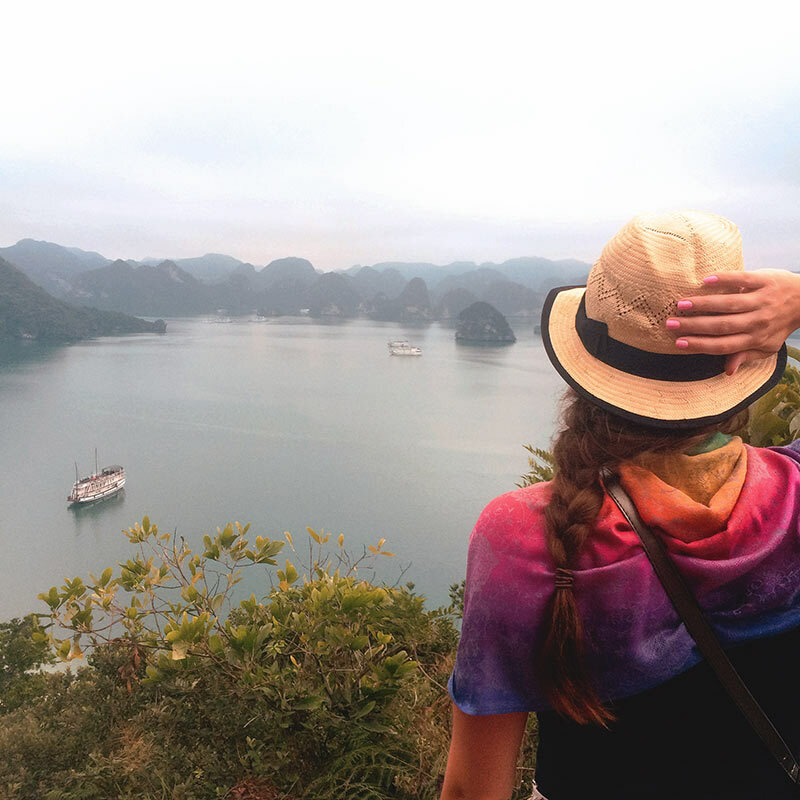 When I was planning my part of our trip, I was most looking forward to our trip to Ha Long Bay. Over 3000 islands poke out of the water as far as the eye can see, and it makes for a stunning sight. We caught a shuttle bus there before boarding our ship headed towards the fishing villages. Several kayaks awaited us and we paddled them around parts of the bay. 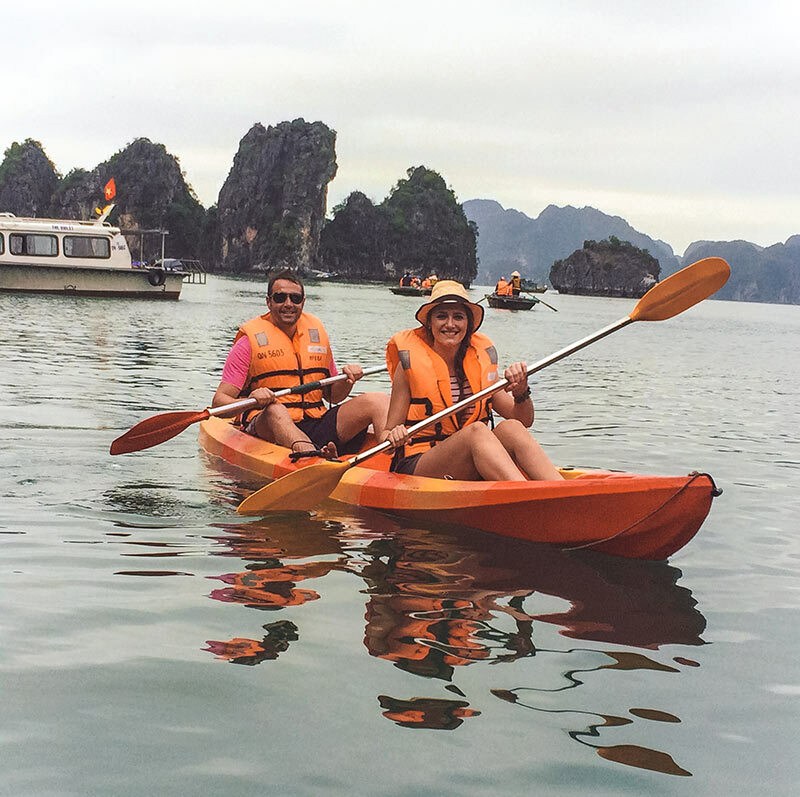 We had a few delicious banquets cooked for us, made our own Vietnamese Spring Rolls (which turned out surprisingly well) and had a go at squid fishing (done at night). One of the biggest caves in Ha Long Bay, Sung Sot (Surprise) Cave is impressive. It is lit up to show off various rock formations and was very busy when we went, so be prepared to spend some time making your way through. Feel free to contact me if you would like any further information or some travel photobook tips! 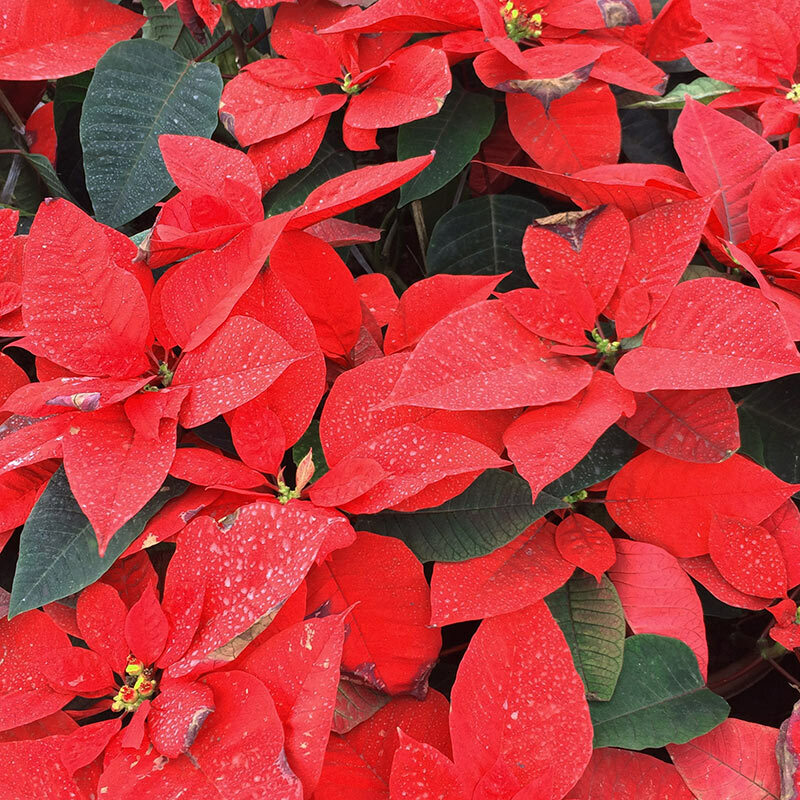 ~ This is Part Three of my Vietnam Diaries Series.